We Indians are a kohl kajal obsessed nation and any beauty look is incomplete without kohl rimmed eyes in our country. I have read most international beauty bloggers talk about their first beauty product being a mascara or brow pencil but for majority of us Indians a kajal pencil is the first beauty product we ever owned. Our grand mothers used to make their own kohl kajals at home with sooth but they smudged easily giving racoon eyes. These days you can easily find good kajal pencils in indian market but it is important that you buy a kohl kajal which is decently pigmented and smudge proof. If your kajal pencil isnt smudge proof or waterproof you will end up with dark under eye area giving a tired look. I myself have used many kohl kajals and today will be sharing the top 10 kajals available in India. I wanted to start this list with a budget kohl kajal pencil and Maybelline colossal kajal fits the bill perfectly delivering total value for money. 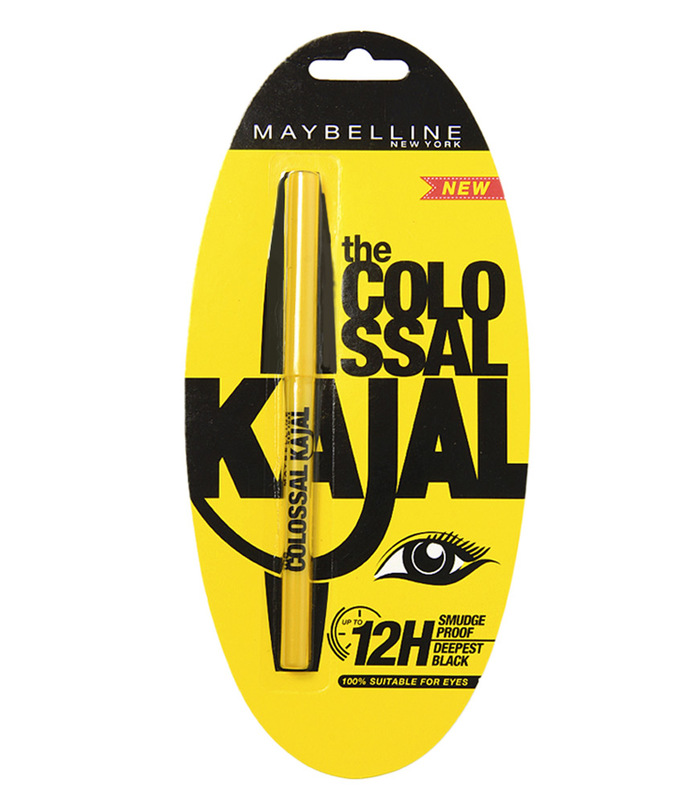 Packaged in a bright yellow twist up pencil with an improvised formula to last longer the Maybelline colossal kajal has a creamy texture and glides easily both on waterline and upper lashline giving a nice black colour. Though the kajal stays on waterline only for 6 hours its fades away without giving panda eyes which is amazing for the price being paid. 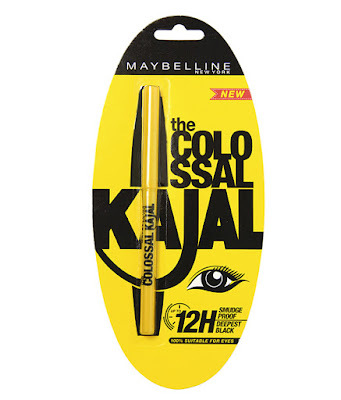 If you are a beginner and are looking for a smudge proof kajal start with maybelline colossal kajal, preferably the 12 hr version. This jet black smudge proof kohl from Lakme is my current favourite kajal all thanks to its creamy formula. 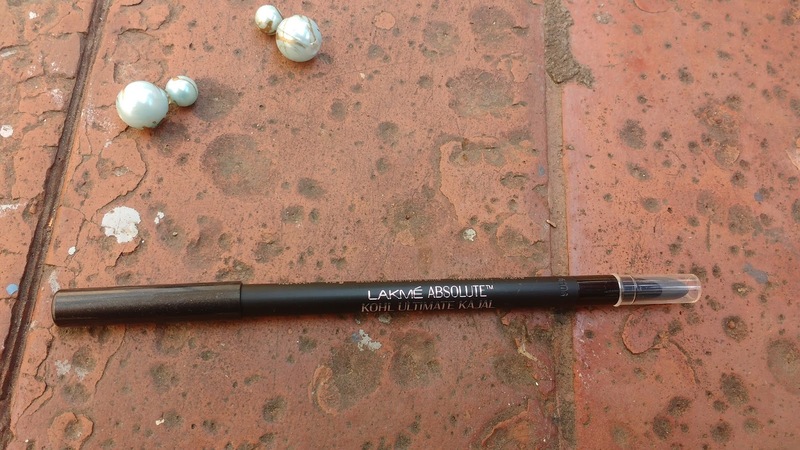 Lakme absolute kohl ultimate is packaged in a sharpenable plastic body pencil with a rubber smudger attached at the other end. 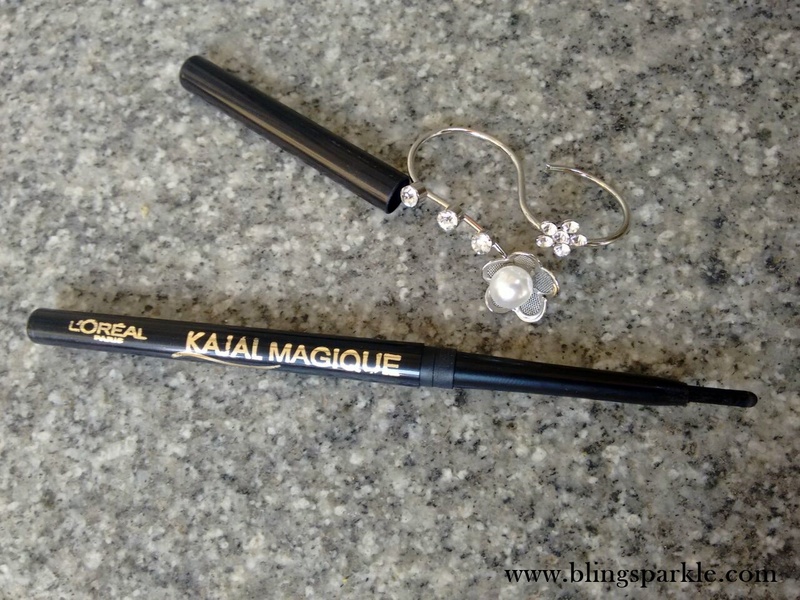 If you want an intense black smokey eye look this kajal is perfect pick. The price is on the higher side but for quality you need to open your wallet a bit wider! 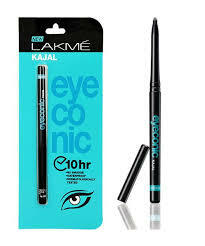 The eyeconic kajal from lakme has a sort of cult status in Indian beauty world and everyone cant stop raving about it. Packaged in a retractable sleek black pencil form the lakme eyeconic kajal has a smooth texture and is intensely pigmented. The smudge proof long lasting formula is the reason this kajal pencil is preferred by many Indian women. Priced affordable I would say this is an amazing everyday wear kohl kajal. 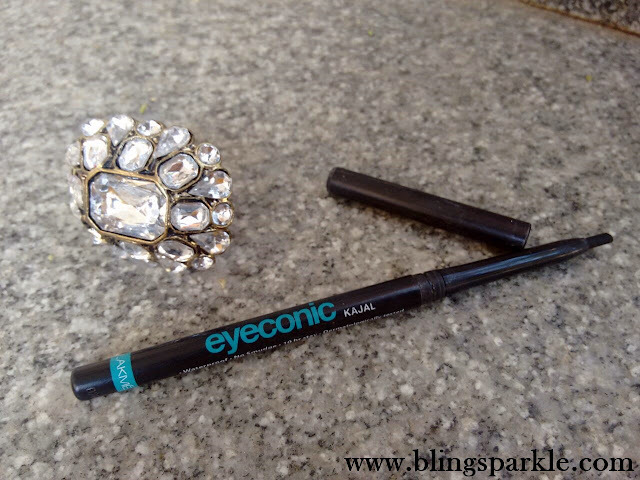 This kajal can also be used like an eyeliner and it comes in many colours too. The ecostay kajal isnt raved about much in the beauty world but that doesnt mean it isnt good. The quality of this kajal from Lotus Herbals is amazing and a single swipe is all you need for deep black kohl lined eyes which will last all day long. This kajal is smudge proof and water proof and is perfect if you have sensitive eyes as Lotus herbals has herbal formulation. This kajal pencil is super creamy smooth and needs to be sharpened often. Loreal also launched its ow kajal pencil in retractcable form after maybelline and lakme. 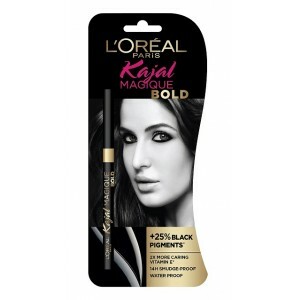 Thw Loreal kajal Magique was then upgraded to make it last longer and richer pigmentation in its magique bold avtaar. The all new Loreal Paris kajal is richly pigmented and stays for 7 on waterline and lasline making one of the best smudgeproof kohl kajals iavailable in India. This sharpenable kajal pencil from faces is solid deep black true to its name and you get intense colour in single swipe. Faces Long Wear Eye Pencil is creamy , glides easily on waterline and is smudge proof and water proof making it ideal for watery eyes and women in humid climate. This kajal stays all day and needs a good makeup removes to be completely removed. The complete ingredients list is missing so please buy only after testing if you have sensitive watery eyes. 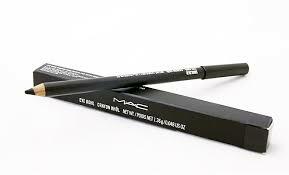 If you really are a kajal person take your kohl game higher with the deep, dark jet black smolder kohl sharpenable pencil from MAC. This kajal pencil is ofcouse pricey as it comes from the house of MAC but delivers quality being soft, creamy and waterproof. This kohl kajal is safe for use on waterline as it is opthamologist tested so it is ideal for beauties with sensitive eyes and contact lens wearers. This kohl though it isnt smudge proof and is actually meant for smokey eye looks but will last you all day without giving racoon eyes. This kajal pencil from colorbar is packaged like the lakme kohl ultimate in a pencil form with a smudger brush at the other end. The Colorbar Just Smoky Kajal Black is richly pigmented and delivers a matte jet black colour in a single swipe which lasts all day long and requires quiete an effort to be taken off at the end of day. 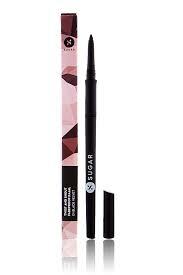 Sugar cosmetics are new in th beauty world but I have heard amazing reviews of all their product launches. This twist and shout kajal comes in a plastic twist up pencil which doesnt need to be sharpened. The texture is smooth gliding easily on waterline and lashline giving a nice intense black colour in two swipes. This kajal is true to its fadeproof claims and lasts all day but I feel it is a bit on the expensive side considering its performance is similar to eyeconic and collosal. 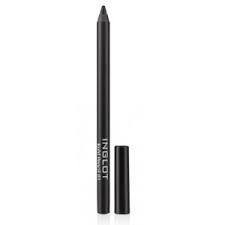 Inglot kohl pencil comes in a pencil form which needs to sharpened. This kohl has creamy texture gliding on waterline without tugging and pulling. The pigmentation is amazing and the colour is dark jet black making it ideal for women who want super black kohl rimmed eyes. This kohl pencil lasts all day with minimal fading and even when it fades it doesnt give darker under eyes. #13 Bobbi Brown's Smokey Eye Pencil. Personally I prefer Lakme Kohl ultimate but it is more on the expensive side . I would recommend this kohl to all women and if you want an everyday wear kajal pencil then try Lakme eyeconic or maybelline collosal as both are priced affordably and are long lasting also. Applying some loose powder under eyes helps adsorb oil and prevent smudging. This is a very old trick I learnt from my mom. I have dry skin so I powder only my T zone and under eyes. If s best to use translucent powder for this purpose. If you have watery eyes it is best to avoid applying kajal on the inner corners of waterline where most smudging tends to occur. Seeting your kajal with a black eye shadow using an angled brush below the waterline will help prevent smudging but try this only if you are going for a smokey eye look. Which Black kohl kajal do you use? Please share as I love trying new smudge proof kajal pencils.